It's a Monday in October, so of course Monoprice is running a Black Friday sale. The jack-o-lanterns are barely on the stoop, Thanksgiving is over a month away, and Christmas isn't even on the radar, but that's not going to stop Black Friday. So if you want a month-long jump on the crowds, Monoprice has launched its one-day Early Black Friday sale with an extra 20 percent off just about everythingRemove non-product link, including the site's famous cheap cables that started it all. 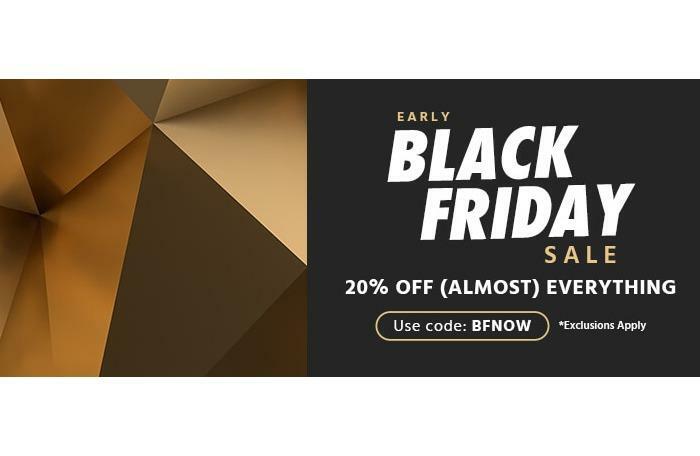 To get the discount, just apply the code BFNOW at checkout, though be warned that there's a pretty long list of exclusions. First up is this Monoprice MP PC gaming headphone for $48.82Remove non-product link with Active Noise Cancellation and multiple Digital Sound Processor modes. It’s usually $80 so you’re getting one heck of a deal. The headphones come with a microphone (of course), and the ANC mode helps get rid of the background noise if you can’t hear the sweet jingle of digital machine gun fire over the sound of the lawnmower next door. Next up is this 10,400mAh power bank for $14.46Remove non-product link instead of the usual $25. This unit looks great for charging cell phones, and whatever else needs a hit of power from a USB port while on the road. Finally, what would a Monoprice round-up be without some ridiculously priced cables? How about this three-foot high-speed HDMI cable for $2.50Remove non-product link that can deliver a 4K signal at 24Hz for $2.50 instead of $5? Or this 1.5-foot cable for $1.50Remove non-product link that delivers 4K at 60Hz. Both cables come in red–albeit different shades. There are a lot more deals on the site right now including TV mounts, 3D printers, and monitors, so be sure to check them all out (and don't forget the BFNOW 20-percent off code). Unless you really want the full Black Friday experience of long lines and sold-out doorbusters.